Purchasing the Miscanthus: the most interesting sectors for producers! 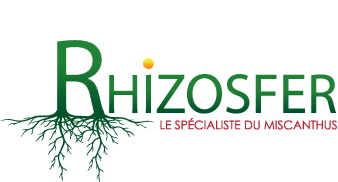 Our company, Rhizosfer, specializes in the Miscanthus. The purchase of rhizomes for the implantation of a crop of this grass is available in two ways. You can opt for “big bags” with a capacity of 10,000 to 18,000 units, depending on your use. In order to remain flexible, bags of 500 pieces are also available. We encourage local farmers to purchase and cultivate the Miscanthus so as to support the search for new market opportunities. This would allow us to install and develop local industries. Although many fields of application for this grass have already been found, we wish to further develop the market for this plant. It is with that perspective that we encourage the development of the Elephant Grass in various distinct forms. In the current Miscanthus market, requests for its purchase come from various industries. This grass is, for example, used for combustion in some power plants in the Anglo-Saxon territories. It is also useful for the breeding of suckling cattle because it maintains its consistency in the event of crushing and thus keeps its drainage capacity longer. Being much more permeable than its substitute, wheat, it also allows far more space saving. It is also used for mulching horse litter, as it is easy to handle and provides a good comfort to animals while preventing the development of some molds. It is also very popular in the horticultural world for the protection of flower beds. On the other hand, this grass can be found in the construction field, especially for agro-concretes, bioplastics, textiles (geotextiles), pulp and biofuels.